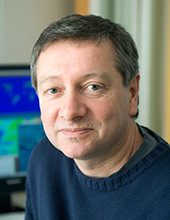 David Simpson is a Senior Researcher at the Norwegian Meteorological Institute and Adjunct Professor at Chalmers, Gothenburg. He has worked for the European Monitoring and Evaluation Programme (EMEP, www.emep.int) for almost 20 years, mainly developing the EMEP chemical transport model. His main interests involve the biosphere-atmosphere exchange of pollutants which affect ozone chemistry, aerosols, and nitrogen deposition. There might be more projects where David Simpson participates, but you have to be logged in as a Chalmers employee to see them.